Price includes postage. Might interest some people. an authentic Call of Duty experience. before seen in the franchise. 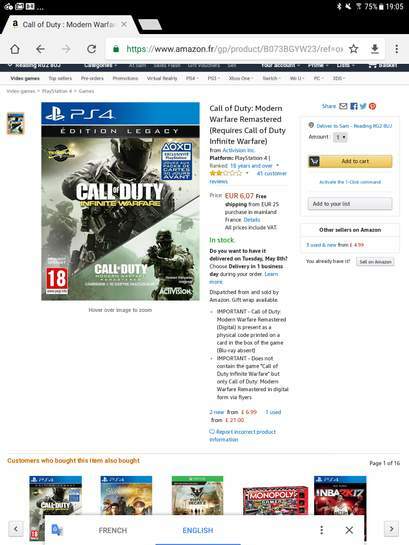 Amazon UK are not offering early access to the Campaign mode on Modern Warfare on PS4. Note: The outer package doesn't indicate a format, There is no PC version associated with the product. 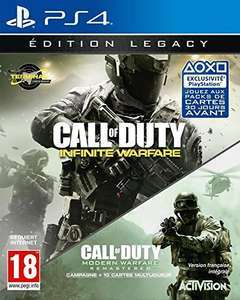 Not sure this is both games, looking on webpage with translator, it says only Modern Warfare, not Infinite Warfare? Looking at the photos it appears to just be the download code for modern warfare in an otherwise empty box.